Orlando domestic violence charges are best handled by an experienced Orlando criminal defense attorney who has an extensive background both prosecuting and defending Orlando domestic violence battery charges. Attorney N. Fleetwood Tilden is a former Central Florida Prosecutor with over 20 years experience in successfully defending, beating and expunging Orlando domestic violence battery arrests. Contact Tilden Law today for a free initial case evaluation to determine your best defense. Why Hire Your Orlando Domestic Violence Lawyer Immediately? Experience has shown that the best results and opportunity for dismissal in domestic violence cases are achieved when a domestic violence attorney is immediately hired after arrest. The reason is simple; there is a better opportunity to convince the prosecuting attorney to not file charges than it is to convince that same attorney to dismiss the case once it is filed. We contact the alleged victim to investigate the facts and possible defenses and determine whether he/she wishes to prosecute our client. Many times, victims have second thoughts about prosecuting and wish to drop charges. When this is the case, Tilden Law prepares a legal document called a “declination of Prosecution.” This document puts the State Attorney and Judge on notice that the victim wishes all charges dropped. A declination of prosecution also can modify the statement that the victim gave at the time of the arrest and allege no crime occurred. In all Orlando domestic violence battery cases, the first appearance judge will set forth special conditions of bond that will either prevent or restrict contact with the victim, contact with minor children and exclusion to the family home. In cases where both parties agree with changes to the bond release conditions, a “Motion to Modify Bond” is filed. This motion is designed to allow contact between the parties and to allow our client to return to the family home. This motion is also a powerful tool in steering the case towards a dismissal. What Is Domestic Violence in Orlando? It is critical to evaluate every aspect of your case as the presence of even one of the above may lead to a dismissal of your Orlando domestic violence case. It is critical to evaluate every aspect of your case as the presence of even one of the above may lead to a dismissal of your domestic violence case. Facts: Our client was in a verbal argument with his wife in the parking lot of Walmart in Casselberry, Florida. A bystander called Casselberry Police who arrived to investigate. Our client allegedly placed is hands on his wife to prevent her from leaving and was arrested for Battery Domestic Violence in Seminole County. Our client’s wife did not wish to prosecute, and a Declination of Prosecution was filed by our office. After several negotiations with the State Attorney’s office, the charges were dismissed. Result: Domestic Violence charges dismissed. Facts: Our client was on vacation at a Walt Disney World resort with her family. The sister of our client alleges that our client was drunk and became verbally combative. Ultimately, the alleged victim stated that our client struck her in the head causing injury and kicked out the window of her mother’s hotel window. The Orange County Sheriff responded and arrested our client. Our office filed a waiver of appearance with the court so our client would not be required to fly in from out of town to attend her court date. All charges were denied and a not guilty plea was entered. Facts: Our client was alleged to have made threatening phone calls and on two occasions, damaged air conditioning units and property at ex-husband’s dental office. Ex-husband filed an injunction for protection against domestic violence claiming to be fearful of future events of violence. Result: After full hearings in which all issues and allegations were addressed, Judge Dismissed injunction against our client. Facts: Our client was driving his car on South Atlantic Avenue in New Smyrna Beach when another unknown vehicle pulled up next to him and began shouting at him in a threatening manner. According to the police report, an argument ensued as both parties continued to drive. Both vehicles pulled in to a local hotel parking lot with the driver of the unknown vehicle getting out of his car and offering to fight our client. Our client put his vehicle in drive and attempted to leave the parking lot to get away from the unknown man. In doing so, our client’s vehicle struck the other party. Depositions were conducted by our office and negotiations were held. Result: Felony charge was reduced to a simple misdemeanor with no conviction. Facts: 74 year old client was arrested for battery on his wife. Motion to allow contact and return home was granted as well as Motion to travel. Our office petitioned to have charges dismissed. Facts: About approximately 3:40AM, Police arrived at our client’s residence and made contact with his wife who later accused my client of striking her in the face and grabbing her around the neck after being involved in a drunken argument. Officers observed both redness around the victim’s neck and scratches on her forearm. Client was arrested on the charge of Battery Domestic Violence. As a condition of bond, our client was not allowed to return to his residence nor was he allowed to have contact with either the alleged victim, his wife, or his 1 year old child. Result: After entering a plea of not guilty and filing numerous pleadings, the state agreed to Dismiss all criminal charges and lift all conditions of bond allowing our client to both return to his residence and have contact with his family. Facts: Client and husband were allegedly involved in a domestic dispute. Our client was accused of being intoxicated and arguing with her husband which resulted in striking her husband in the back of the head with an unknown object. The alleged victim suffered minor injuries as a result of the alleged altercation. Result: After successfully filing pleadings and petitioning the State Attorney’s Office, the State agreed to Dismiss all criminal charges in this matter. Facts: Allegations were made to with the Orange County Sheriff’s office by our client’s wife of domestic violence. Our office filed a Declination of Prosecution along with a Motion to allow our client to return home and have contact with his wife. The Court granted our motion and the State Attorney dismissed all charges. Facts: Officers responded with reference to a domestic violence altercation between our client and his wife. There were allegations of our client pushing and restraining the alleged victim in front of witnesses. 911 was subsequently called and our client was arrested and charged with battery/ domestic violence. Facts: Our client was arrested and accused of intentionally touching or striking his live in girlfriend, 911 was called whereby the client was subsequently arrested and charged. Result: Our office negotiated a deferred prosecution agreement with the State Attorney’s Office whereby, all charges were subsequently Dismissed. Facts: Our client’s ex-wife contacted the Seminole County Sheriff to report a domestic battery at our client’s home. The alleged victim accused our client of repeatedly calling and harassing her which ultimately led to a physical altercation at his home with injury. Seminole County Sheriff responded to a 911 call and arrested our client. Our firm filed a denial of all criminal accusations and requested a jury trial. The alleged victim also filed an injunction/restraining order asking the court to prevent contact. Facts: Our client and her wife were involved in a verbal argument that allegedly became physical. Winter Park police showed up at the home and determined that our client committed a battery against her wife. As a condition of her release, our client was not allowed to return home nor was she allowed to have contact with her wife. Our office filed a Motion to Modify pretrial release to allow contact and to return to her home. Our motion was granted by Judge Martinez. Result: Battery domestic violence charge Dismissed. Facts: Our client and her live in boyfriend got into a verbal argument when a neighbor called the Orange County Sheriff’s Office to report the disturbance. Both our client and her boyfriend alleged being the victim of domestic violence. Because the police could not determine which was the aggressor, both parties were arrested. Our firm filed documents with the State Attorney and clerk’s office denying all criminal accusations. Result: Domestic Battery charges dismissed against our client. After the dismissal, our office was retained to expunge our client’s criminal record. Our expungement petition was granted and our client now has a clean record. Facts: Our out of state client had been dating a girl residing in Seminole County. The Victim filed stalking charges based on emails, text messages and our client appearing at the victim’s apartment. Result: Our office presented contradictory evidence to counter the information provided by the alleged victim which led to all charges being dismissed. Facts: The Seminole County Sheriff responded to my client’s home in Altamonte Springs after his wife called 911 to report a domestic violence battery. When the Sheriff’s deputy arrived, the alleged victim reported that our client grabbed her several times by the shoulders and would not allow her to leave the bedroom. Our client was arrested for domestic battery with conditions of bond not to return to his home and have no contact with his wife. Our office filed a emergency Motion to Modify Bond to allow our client to return to his home and have victim contact as well as a Declination of Prosecution signed by his wife. Facts: Police responded to the residence of our client by a call placed by his then girlfriend alleging that a physical altercation resulting in her being battered by our client. Our client was subsequently arrested and charged with battery/domestic violence. Facts: Client was arrested and charged with the offense of Battery Domestic Violence against his live-in girlfriend who had claimed to be the victim of physical abuse. The court imposed conditions of bond restricting his access with his girlfriend and requiring our client not to possess or consume alcoholic beverages. Result: Our firm filed numerous pleadings on behalf of our client resulting in all criminal charges being Dismissed and all conditions of bond lifted. Facts: Our client hired our firm for the second time to defend him on a battery domestic charge in Orange County. The Orange County Sheriff’s office was again called to a verbal disturbance at our client’s residence. Once there, our client’s wife alleged that she was battered by her husband however, there were no marks on her body or other evidence to corroborate her story. The victim decided a few days later that she did not want to prosecute our client. Our firm prepared and filed a Declination of Prosecution with the Clerk’s office requesting charges be dropped. Facts: Our out of state client was visiting Seminole County for a vacation when he was arrested on the allegation of domestic battery against his girlfriend. Result: With the assistance of the alleged victim, our office filed a declination of prosecution with the court and petitioned for a dismissal. The State Attorney agreed and dismissed all criminal charges. Facts: Client and wife allegedly got into an argument leading to our client allegedly striking his wife. Client was subsequently arrested and charged with battery/domestic violence. Result: After filing pleadings with the State Attorney’s Office and the Clerk of the Court, State agreed to Dismiss all criminal charges. Facts: Client’s father called Longwood Police Department on son who was out of control possibly brought on by drug abuse. Paramedics and medical personnel arrived and were attacked by our client who believed they were there to harm him. EMT personnel were allegedly hit and bitten by our client which resulted in two counts of Battery on Law Enforcement charges. Depositions, pretrial motions and negotiations were conducted. Result: All felony charges were reduced to misdemeanor charges with no conviction on our client’s record allowing for his criminal record to be eligible for sealing. Facts: Client and Husband were allegedly involved in an argument in the parking lot of a retail establishment. Client allegedly struck husband with her fist which resulted in her arrest and subsequent charge of battery/domestic violence. Result: Although husband was un-cooperative in our request to have charges Dismissed, State agreed to dismiss case at hearing after pleadings were filed. All Criminal charges were later expunged by my office. Facts: Client was arrested for domestic battery against her husband. Our office filed a Motion to Modify bond conditions and petitioned for charges to be dismissed. State Attorney’s office agreed to dismiss case prior to charges being filed. Facts: Orange County Sheriff’s department showed up at our client’s residence due to a report of a verbal disturbance. Our client resides with his wife and his wife’s mother. The argument appeared to be about their impending divorce. Our client’s wife and her mother both claimed to be the victims of battery at the hands of our client. Our office contacted both victims who decided not to press charges. Our office prepared and filed Declination of Prosecution with the Clerk’s office. Facts: Officers responded to a domestic disturbance at our client’s home where our client allegedly grabbed and pushed his wife in front of several witnesses. Our client was subsequently arrested and charged with battery/domestic violence. 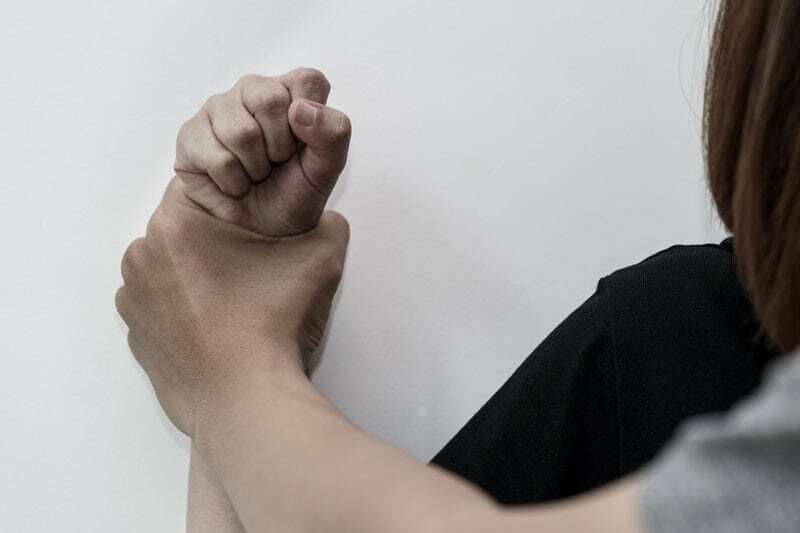 Facts: Client and his Wife allegedly got into an argument in their home resulting in client allegedly striking his wife with an object across the head thereby resulting in the subsequent charge of battery/domestic violence. Result: After filing Pleadings with the State Attorney’s Office and the Clerk of Court, all criminal charges in this matter were Dismissed. Facts: Our client’s wife arrived home where she was greeted by our client and a verbal altercation ensued along with the allegation of our client battering the alleged victim and not allowing her to leave the premises. Facts: Client and his wife were in town visiting Universal Studios theme park. While at a local restaurant, an argument ensued which was witnessed by police and on video. Result: Negotiated a deferred prosecution Pretrial Diversion agreement which led to all charges being dismissed. Facts: Our client was arrested by the Oviedo Police Department after his wife called 911 to report a domestic battery. The court placed a no contact no return condition of bond. Our firm contacted the Seminole County State Attorney’s office and entered a not guilty plea. Result: Domestic violence charge dismissed. Facts: Client and wife got into a verbal argument in the front yard of their home. The victim filed a domestic injunction restraining order and had our client arrested. Result: At the court hearing for the Injunction, the court granted my motion to dismiss after cross examination of the victim. Client entered and completed pretrial diversion program and charges dismissed. Facts: Client and his elderly mother got into a verbal argument that resulted in Winter Springs police being called for a battery. Result: After negotiating with the State Attorney’s office and with the assistance of the victim, all charges dismissed. Facts: Our client got into a verbal argument with his brother in the home that they shared with their mother. It was alleged that that the victim heard a gun shot and believed our client was responsible. The victim stated that our client grabbed him by the throat choking him and shoved him against the kitchen wall. Our client was arrested and charged with Domestic Violence Battery. Result: All criminal charges dismissed. Facts: Our client allegedly made harassing contact with his ex-wife by running her vehicle off of the roadway with his vehicle. At the time of contact there was a valid domestic violence injunction in place precluding our client from having any contact whatsoever with the alleged victim. In addition to the criminal penalties, a conviction for domestic violence in Orlando may also lead to loss of employment; loss of parental rights; disqualified from apartment housing; loss or restriction of professional licenses; deportation for non citizens; disqualification from education scholarships and college financial aid and your mug shot posted on the internet. In order to initially be considered for the domestic violence PTD program, the participant must have no prior sentence, conviction or dismissal for a domestic violence charge regardless of time passage between offenses which also includes juvenile records. Additionally, an applicant cannot have more than one prior unrelated misdemeanor and must not have participated in a prior PTD program, including juvenile cases. Once all the program conditions have been successfully completed and the supervision time has expired, the probation department will send a letter to the State Attorney’s office indicating successful completion. The State Attorney will then file a dismissal of your domestic violence case. In order to initially be considered for the domestic violence PTD program, the participant must have no prior sentence or conviction for any domestic violence related charge regardless of time passage between offenses. Once all the program conditions have been successfully completed and the supervision time has expired, the probation department will send a letter to the State Attorney’s office indicating successful completion. The State Attorney will then file a dismissal of your domestic violence case. Chapter 741.28 of the Florida Statute specifically excludes domestic violence battery convictions from being expunged or sealed. In other words, if you appear in court and enter a guilty or no contest plea (nolo contendere) in Orlando on a domestic violence charge, you will be disqualified from ever clearing your criminal record. This is the case even where the court withholds adjudication of guilt. However, if you domestic violence attorney is successful in achieving a dismissal of your charge, the law allows for a criminal record expungement on Orlando domestic violence battery charges. Contact our office today to see if your domestic violence case qualifies to be expunged. Orlando Domestic Violence and Injunction/Restraining Order cases should never be handled by general criminal practice attorneys. It takes years of criminal defense practice from both perspectives of a prosecutor and defense attorney and specialized Domestic Violence Defense training to properly represent the rights of a client arrested in Orlando for Domestic Violence or violation of an Injunction/Restraining Order. Attorney N. Fleetwood Tilden is in his 22nd year of criminal trial practice and is a former Central Florida Domestic Violence Prosecutor and has handled over 500 criminal Domestic Violence and Injunction/Restraining Order cases. If you are interested in learning how your case can be resolved with a dismissal, please Contact Tilden Law for a free case evaluation to discuss your specific case.